Although pregnancy is a time to be cherished by every mommy-to-be, it does come with its fair share of pains and aches. All the pains that you have endured during the past nine months will seem like nothing when you embrace you’re newborn for the first time after birth. This being said, there are some conditions that will continue to haunt you even after you have safely delivered your baby. One such circumstance is known as varicose veins. Some women experience varicose veins during pregnancy itself which may or may not continue after delivery. But some other women tend to develop it post-delivery owing to the weight gain. Even if the condition improves after delivery, the damage to the veins has already been done and cannot be easily reversible. Let us have a detailed look into what are varicose veins, what causes it, what are its symptoms and how it can be treated. What Are Varicose Veins After Pregnancy? Varicose veins which are also known as varicosities is a condition when the veins in your legs begin to enlarge and overfill with blood. When a person suffers from varicose veins, their veins tend to appear raised and swollen and usually in bluish purple color. The pain from this can be excruciating at times. This varicose vein is quite a common condition faced by pregnant women and some are even unfortunate to experience it after delivering the baby too. Although sometimes the varicose veins subside post-delivery, the damage which has already happened to the veins cannot be reversed to its original condition. Therefore, the woman has to continue to endure the pain and itching in the veins even after delivery. What Are The Causes of Varicose Veins After Pregnancy? If you had already suffered varicose veins in one of your pregnancies, chances are that it would only increase and cause more discomfort with every other pregnancy after that. This is particularly true if you have had more than three pregnancies. It is a researched fact that with the increase in the number of pregnancies, the chances of developing varicose veins becomes higher. There are very high chances of you developing varicose veins at any stage in your life or post-pregnancy if you have a family history of this condition. During pregnancy, if you had put on extra kilos than required, then the pressure given to the veins on your legs will be high and you might develop varicose veins as a result because the damaged veins cannot be repaired. What Are The Symptoms Of Varicose Veins After Pregnancy? Here are some symptoms that you should look out for if you think you may be suffering from varicose veins. What Are The Options For Treating Varicose Veins After Pregnancy? It is important to receive proper treatment for varicose veins as it is causing great discomfort and severe pain which may hamper daily activities. here are some suggestions that you can follow to improve the condition post pregnancy. 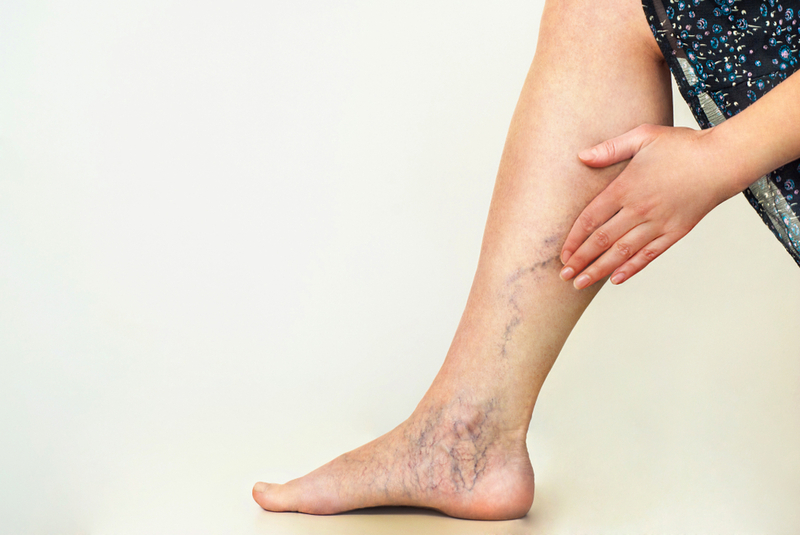 When your body receives good blood circulation, these varicose veins conditions will improve. Allocate some time for yourself during the day and begin with simple exercises at home or outdoors. This will help regulate blood circulation in your body and also help reduce the impact of the condition. It is advisable to keep your feet at an elevated level whenever you sit down. Do not stand for long periods as the blood flow to your legs will be high and more pressure will be applied to your already damaged veins. Sclerotherapy is a very effective method of reducing the impact of varicose veins. It is a simple procedure where a medical solution is injected into the veins that are affected resulting in reduced pain. This treatment, although very effective may take time to heal the condition. Wearing tight stockings helps to enhance the blood circulation. This is owing to the fact that it remains tight in the part of the ankle and progressively loosens as reaching the upper end of the leg. Putting on a support hose also helps to alleviate pain and discomfort due to the varicose veins. Applying a thin coating of honey over the veins and washing it after a while. Applying a concoction of beeswax and olive oil two or three times every day for pain relief. How To Bring Down The Chances Of Varicose Vein After Delivery? Wear comfortable shoes while on the go to relieve yourself from the discomfort. Exercise regularly. This will improve blood circulation. When To Seek Medical Attention For Varicose Vein After Pregnancy? Once your symptoms show no signs of improvement after delivery, or if your discomfort and pain is becoming unbearable, you should get in touch with your doctor without any delay. Remember, post pregnancy is the period that demands lots of your time and energy. Previous ArticleWhat Are The Chances Of Pregnancy After Tubal Ligation?